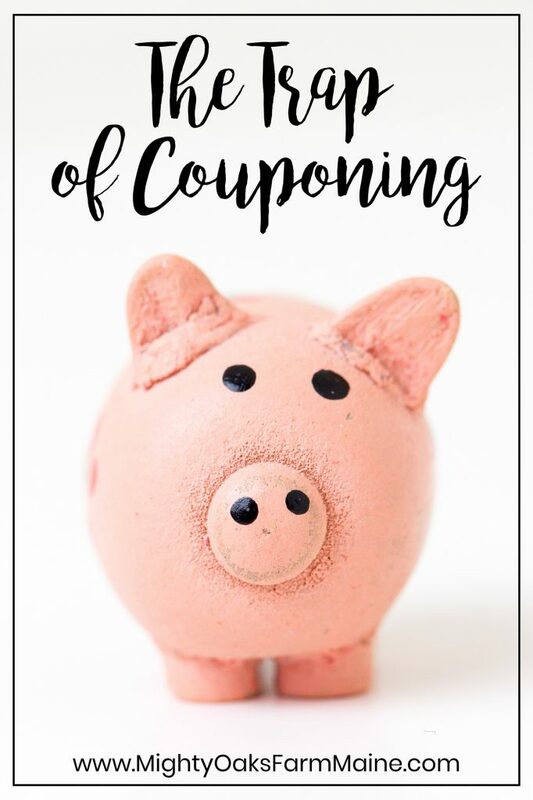 While couponing for some results in an emotional high for all they’ve saved, for me I’ve recognized it results in a trap of emotional spending that I’ve learned to avoid. I had the want. I had the way. However, instead I just threw away $10.00! Practicing what I have learned over the years in regards to falling into the trap of emotional spending is sometimes easier said than done. 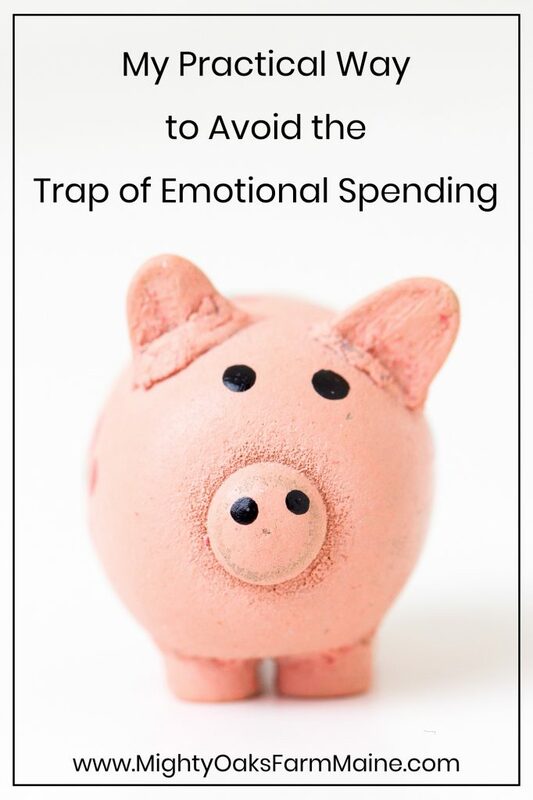 There are some really practical ways that I have learned to avoid the trap of emotional spending. I am a practical girl and they make sense to me. However, they are not always the most fun. 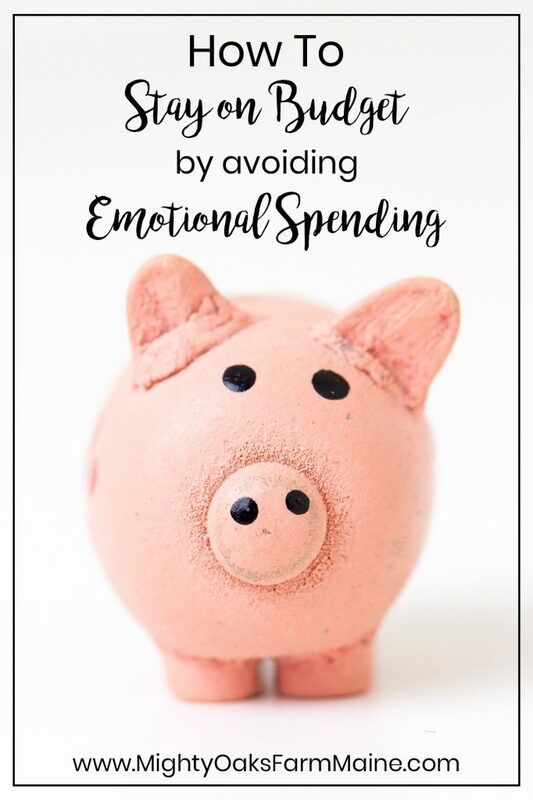 Emotional spending comes easy for some. Avoiding that trap, and experiencing the joy that comes from the conquest over temptation leaves you with a feeling better than any moment in the check out line. Win! Why would anyone throw away $10.00? Well… it wasn’t $10.00 exactly – but yet it was. You see a week or so before Christmas, I was in Michael’s Crafts – no they are not a sponsor, however, if they would like to be, who am I to stop them! 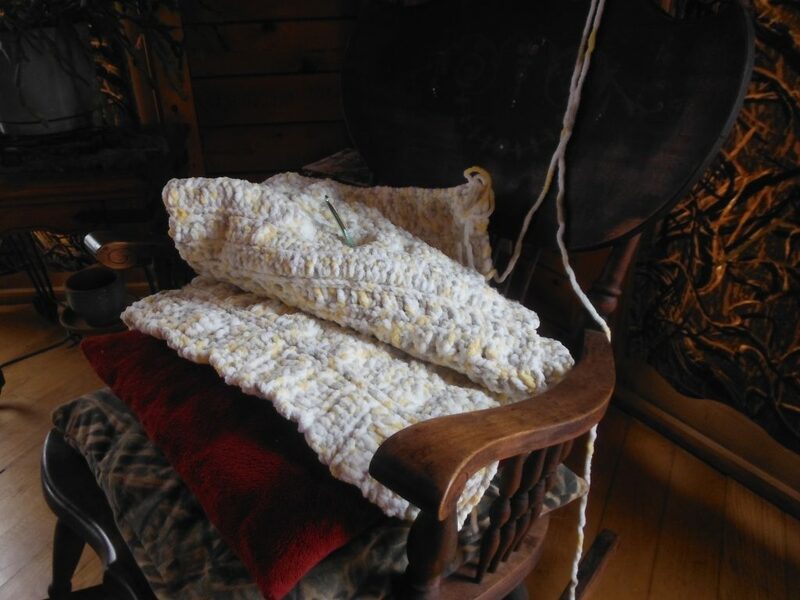 Anyhoo… I made my purchase of some yarn for a blanket I’m crocheting. This is just a pattern that I made up, no real pattern, just a random number of random rows that I decide to crochet. So of course I have no idea how much yarn I will need. On my way out I pay and the cashier hands me this coupon with a great smile on her face, like she had given me money or something. Oh wait! She did just give me money in a way. She gave me a $5.00 off coupon. 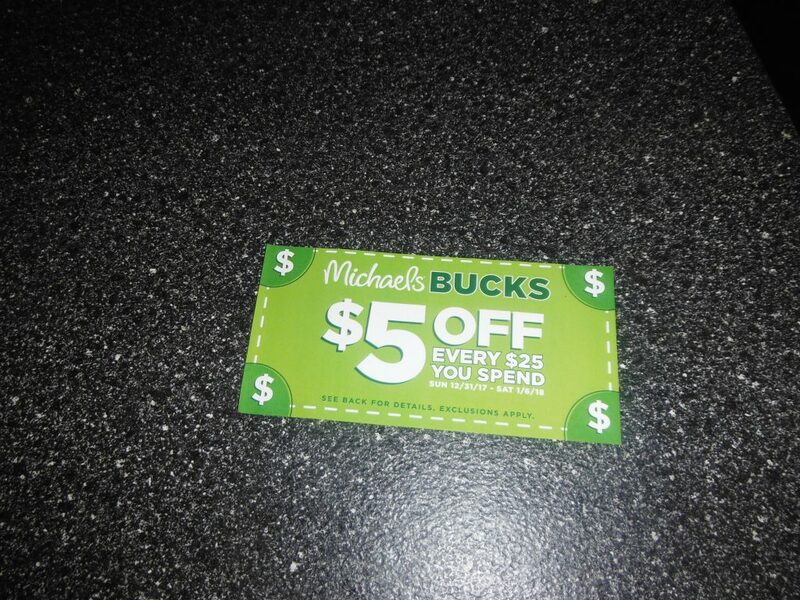 Sweet, $5.00 off your next purchase of $25.00 or more. Easy! I dream as I walk out of the store that I could use that $5.00 on more yarn if I needed it later and most likely would. I shove the coupon in my bag and call it a day. But wait…it gets better! I have a lovely friend that is moving a couple hours north of us. Although I am sad to see her go, I was thankful that she allowed me to help her pack her moving van – yes, thankful! You see, Maine women tend to be, shall we say, strong willed? Don’t get me wrong, having strength and knowing where it comes from is a blessing. But having strength because you are pig headed…well that’s just ignorant. So, she let me help her. And as a token of her appreciation, she bought me a gift. Included with this gift was, you guessed it, another $5.00 off Michael’s coupon. Score – $10.00 dollars, 10 FREE dollars, doing a happy dance! So as the days have gone by, I have used all of the yarn I purchased and I figured I would get over to Michael’s before the coupons expired. Here is where it became my choice to throw away $10.00. I knew I only had a few days left to use my free $10.00. I do need more yarn to finish my blanket. However, the temperatures here at the beginning of January 2018 have been brutally cold. With the wind chill added in up here on this hillside, it has been -30 F on many days. Going outside for anything other than the necessary farm chores is just not pleasant – not that the farm chores are pleasant in this weather either, just a necessity. Also, Michael’s Crafts is at least a 40 minute one way trip for me and I had absolutely no reason what-so-ever to go in that direction other than to use my $10.00 off. So here I sit with a choice to make. Move on emotion? Free, free, free! Happy, happy, happy! I feel like I am stealing from Duck Dynasty every time I say that – or use the brain that the good Lord gave me. Now I am a simple girl, but the way I do math is like this: get in my car, drive 40 minutes one way, spend $5.00 in gas, three hours of my life including shopping time, and $50.00 on product. Roughly, even if I am only worth $10.00 per hour that comes to $85.00. Where as if I use my brain and don’t make a purchase based on emotion; I go to Michael’s Crafts when I am already headed in that direction for something else. No extra gas money spent. I purchase only the yarn I need = maybe another $14.00, and only spend at best ½ hour of my life in the store. You go in, walk directly to what you need and get out! I am looking at a total spent of $19.00. This my friends is how you throw away $10.00 and end up with $66.00 in your pocket! Moral of the story – avoid the trap of emotional spending. Your brain and your budget are friends. Emotions and your budget: arch enemies! Think about your shopping habits and team up with your brain the next time you go. Your budget, your family and your soul will feel good about it! For more tips and tricks to managing your budget, follow us on Pinterest here on our Budget Board.